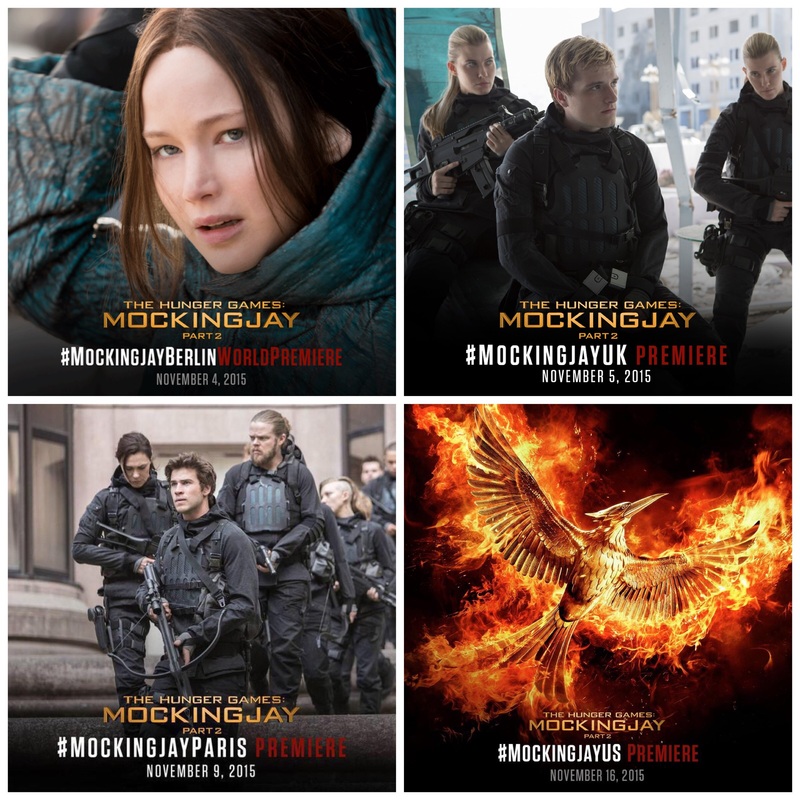 Yesterday the long awaited Mockingjay Part 2 premiere locations were announced. (Along with a couple stills -BLESS). Berlin as the host of the world premiere was a surprise, but a nice one and made sense to us since filming on the movie happened there, and it was where the film wrapped. This brings us to our main point – THE PREMIERE LOCATIONS MAKE SENSE. This clearly wasn’t a contest for which cities/countries have the “biggest” fans or who “deserves” a premiere. There are passionate fans everywhere on the planet because these books and movies are awesome and transcend borders. If you’re a part of the 99% of the population left out of the #MockingjayWorldTour, don’t take it personally! It’s just business, and it doesn’t mean premiere time won’t be fun for all of us. Back to the “it’s just business” point, it’s really tough on the talent and the budget to go on a global publicity tour for weeks. They have to prioritize what makes sense in terms of money, time, and distance for these events. Los Angeles and London are where Lionsgate’s main theatrical businesses operate. They are also entertainment hubs of the Hunger Games franchise’s biggest markets. These two are no-brainers. If they DIDN’T have premieres here it would be super weird. Berlin and Paris were both shooting locations for Mockingjay Part 2, and it’s common for movies to host premieres where the film was shot (sorry Atlanta, LA trumped you again). France and Germany are also decently sized foreign markets for the films in the $30-40 million range each for Catching Fire. These locations are ALSO close to London, so it’s not as taxing on the talent in terms of travel. They can’t go everywhere and meet every fan personally, but these premieres will inevitably have live streams and interviews galore, so it’s not like everything is closed off to fans that live far away. If a premiere isn’t in your city, it wasn’t because Francis Lawrence or Nina Jacobson wanted to snub you. They very likely had NOTHING TO DO WITH IT. When fans tweet them excessively whining about their country not having a premiere, it just makes Twitter a more hostile place for them, and they’ll be less inclined to share things with us. STOP IT. The disappointment is understandable. I would love to go to a premiere. There’s lots of energy, excited people, and OH, THE MOVIE TOO, but the distance makes it unrealistic for me. It’s not Lionsgate’s fault that I live 3000 miles from LA. I’m still going to enjoy it all via the Internet and then travel a reasonable distance to see the movie when it’s out. Screaming hysterically in your fave’s face is really awkward anyway. Your posts are always on point!